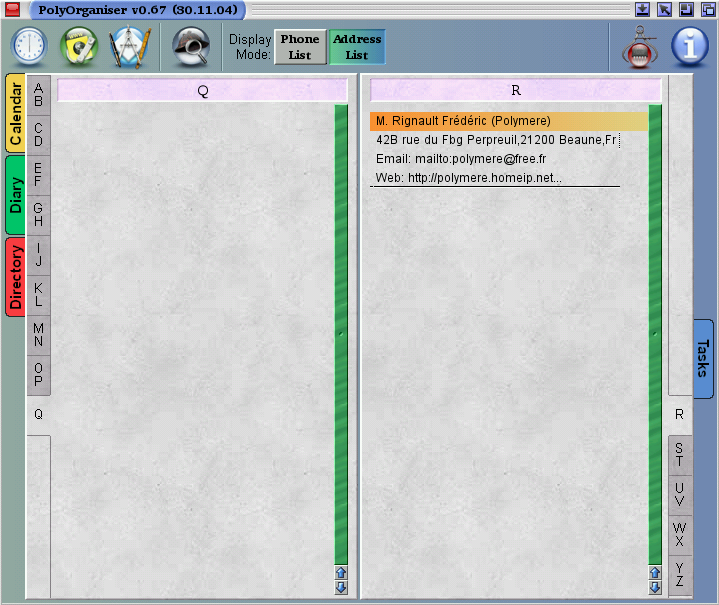 Version Française Also available PolyNet NG and PolyGlot (MSN). 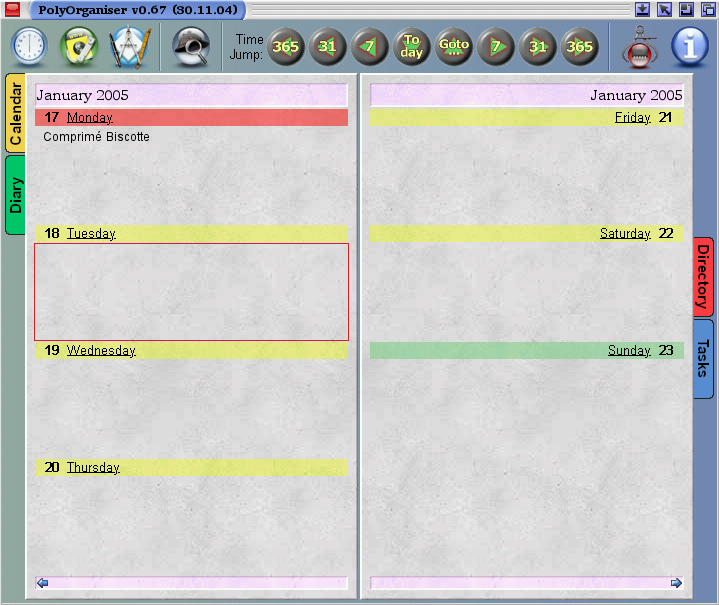 PolyOrganiser is a general-purpose tool to manage events, contacts and tasks. 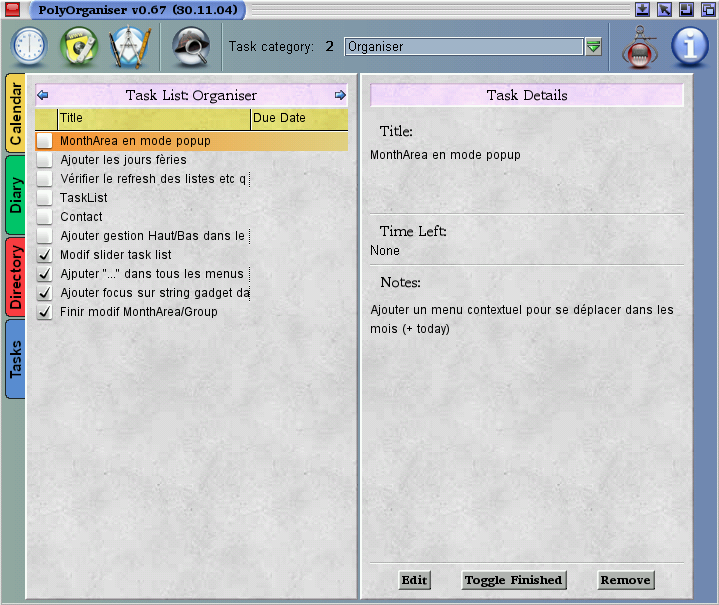 This application is MorphOS only for the moment. 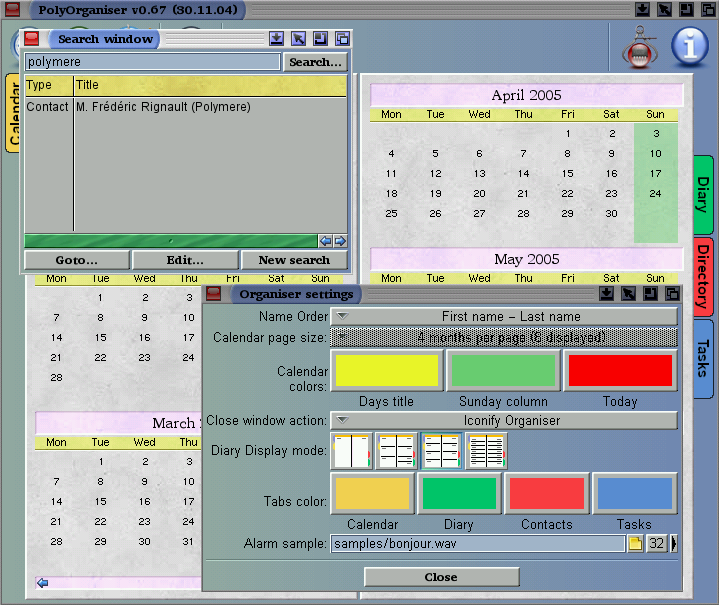 For 68k users, I recommend "Digita Organiser" that is more 68k friendly. - Links between all kind of object, an event can refer to a contact for call it. - New: German catalog by Otti. (ask me before, 12 oysters is not a good gift ;). You can send me money with paypal. Email me for my postal address. 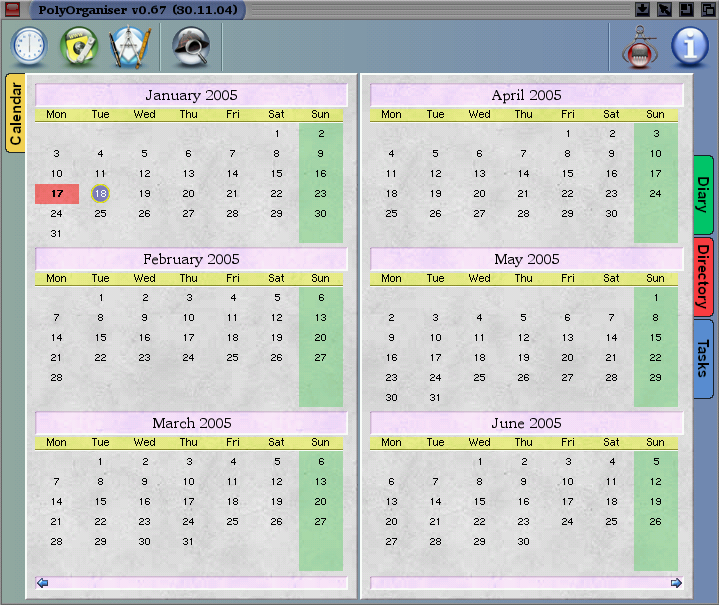 Link to the download page of the ttengine.library needed by PolyOraniser.